A move to curtail emissions produced by cargo ships and cruise liners could in a few years put new pressure on prices and supplies of diesel fuel. 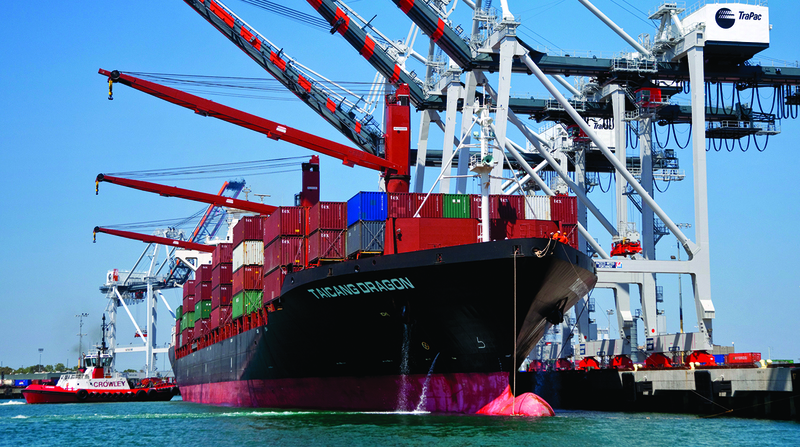 By 2020, the maritime industry is poised to shift to diesel from so-called bunker fuel. The heavy, thick fuel has been used in the cargo shipping and cruise line industry for years because it is inexpensive, especially compared to other fuels. After oil has been refined into diesel, gasoline or jet fuel, bunker fuel is what’s left over at the refinery. Effectively, it’s what’s left at the bottom of the barrel. “It is probably about one grade better than asphalt,” said Glen Kedzie, American Trucking Associations’ energy and environmental counsel. However, bunker fuel’s days appear numbered. In 2016, the United Nations’ International Maritime Organization directed the maritime industry to by 2020 significantly decrease sulfur emissions from ships; by that year, the allowable sulfur content in marine fuel must drop from 3.5% to 0.5% — seven times lower than it is now. According to a 2017 survey of shipping companies from investment bank UBS, 74% said they will switch to diesel, while the rest either plan to install equipment to remove sulfur or convert their ships to liquefied natural gas. The shipping industry uses an estimated 4 million barrels of fuel each day, so a major shift to diesel could put pressure on refiners, Kedzie noted. This planned transition comes at a time when the world economy is growing and both the maritime and trucking industries are at peak capacity. Of late, demand for diesel in the trucking industry has been driving prices upward. “If I am a diesel manufacturer in the United States and I can make more money on that selling it overseas to a maritime facility, I would do that,” trucking industry consultant Randy Mullett told TT. With a little more than 18 months left before the maritime rule takes effect, trucking should begin planning now for the possible effect on diesel demand, Energy Information Administration spokesman Jonathan Cogan said. “We do not know how many vessels will convert to scrubbers, or LNG options. That is really the great unknown,” he said. “The market will find a way to solve this, partly through the investments in refining and scrubbers, but also through market reactions to the price signals that arise as the more stringent regulation takes hold,” added American Petroleum Institute Chief Economist Dean Foreman.